A critical post by a Facebook employee says the social media site is trying to answer the hard questions. 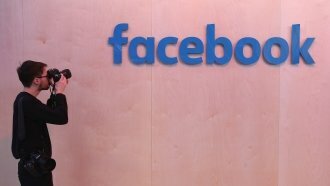 Facebook basically just admitted that social media can "damage" democracy. One of Facebook's product managers wrote a critical post about how the 2016 U.S. presidential election is forcing the social media site to answer some hard questions. It's part of a series on social media and democracy. In the post, Samidh Chakrabarti says social media "amplifies human intent — both good and bad." He also lists a few changes, saying the company is offering users a few tools to learn more about advertisers, in some cases even showing who paid for an ad. Chakrabarti also says Facebook is working with third-party fact checkers to help limit inaccurate news on Facebook.